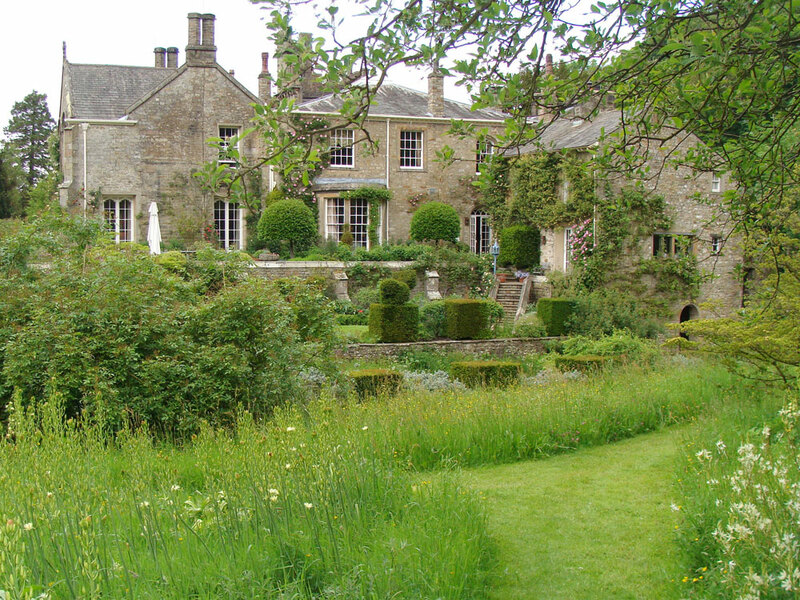 Gresgarth Hall is one of Lancashires best kept secrets. 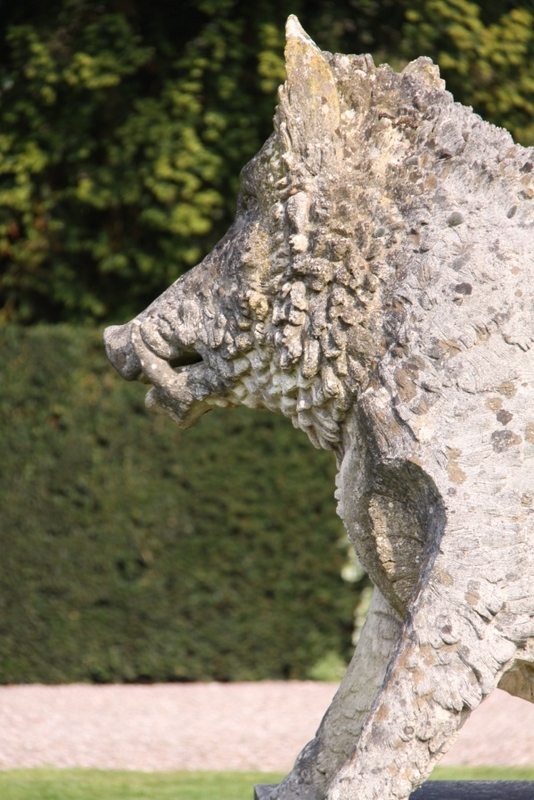 It is probably one of the most beautiful gardens I have ever visited and yet it is not very well known. The house is occupied by the owners so the garden is only open one day each month. You have to be very lucky to catch it! 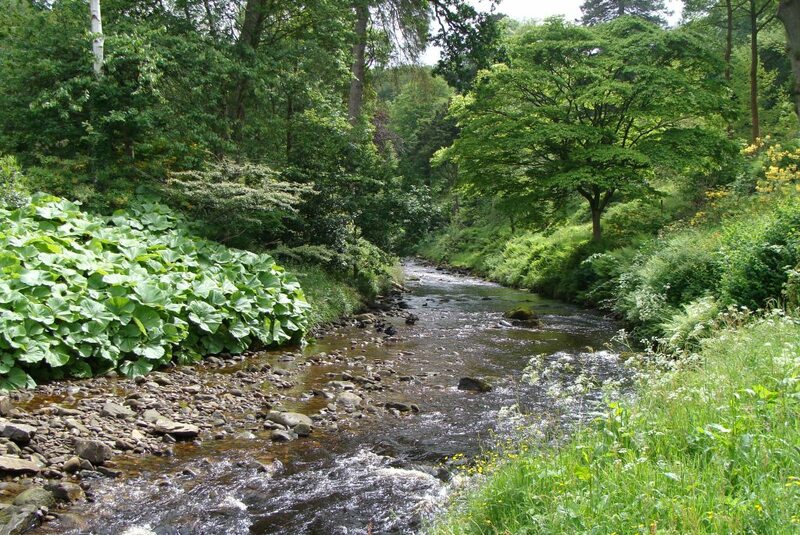 The setting is magical… It’s in the heart of rural north Lancashire for a start. Then there are wooded hillsides, a stream, a lake and a beautiful house that looks like something from a film set. You name it and this garden has got it. 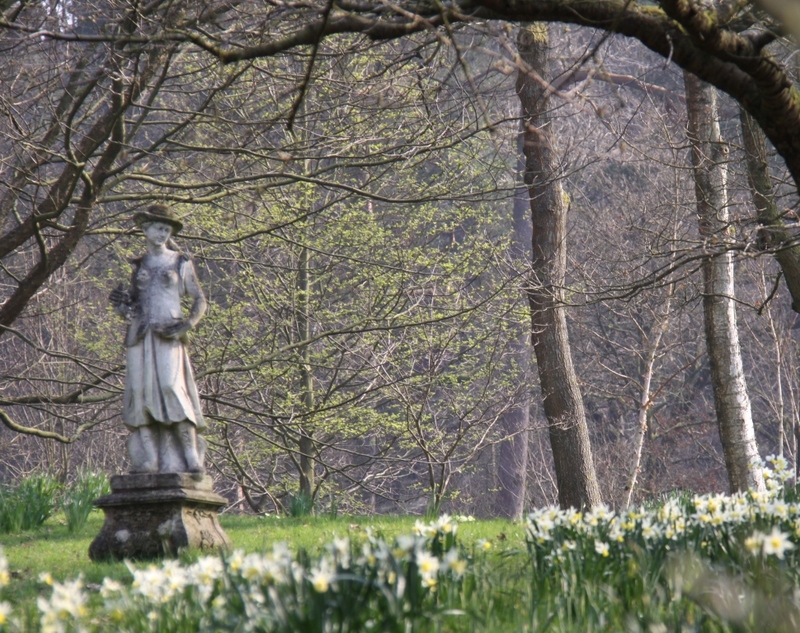 Early in the year some areas of the garden resemble the Lancashire countryside with naturalistic planting and drifts of pale yellow daffodils. Then in spring the scented blossom appears, the trees unfurl their lime green leaves and everything changes again. 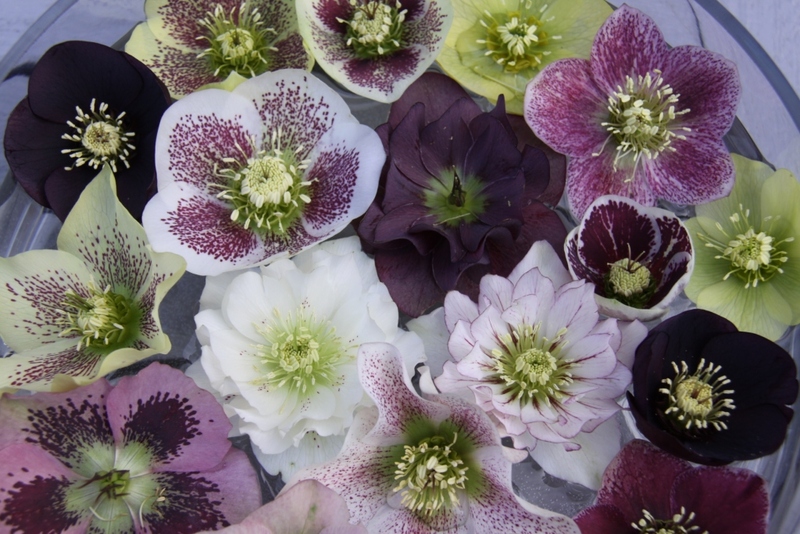 March is Hellebore month at Gresgarth and there are certainly plenty to see. 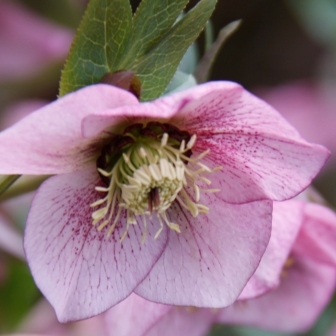 They are planted throughout the garden and there are dedicated hellebore beds too. The gardeners thoughtfully leave bowls of floating flower heads for closer inspection. Gresgarth means Boar Yard in Norse. The entrance courtyard is simple with clipped hedges and a wide crunchy gravel path. A statue of a wild boar greets you. 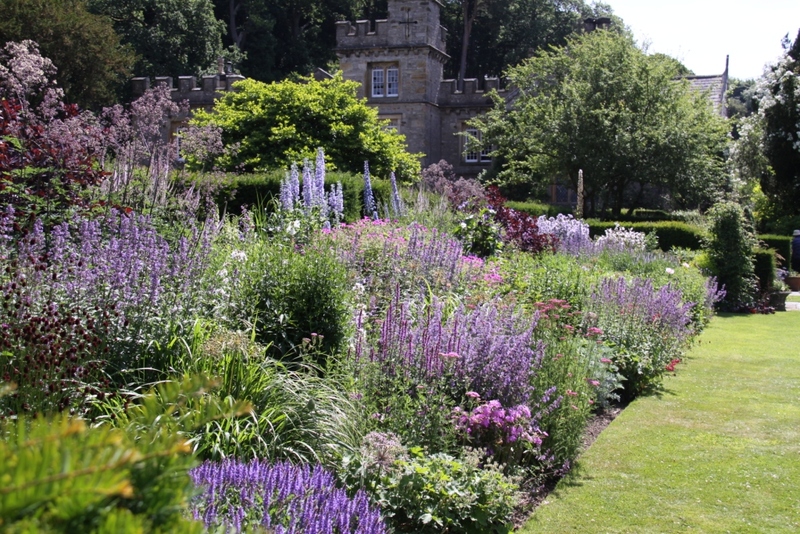 This is the only understated and truly formal area of the garden giving garden visitors no clue of what’s to come next. Step through a narrow gap in the hedge onto a sun drenched terrace and the view unfolds across the lake to the hillside beyond. Fantastic! 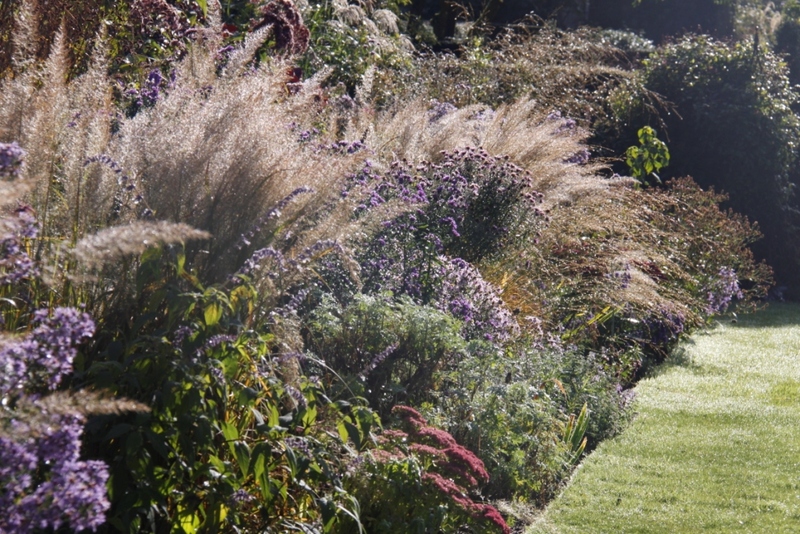 Gresgarth is the beautiful garden of Mark and Arabella Lennox-Boyd. Arabella is a Chelsea gold medal winning garden designer. 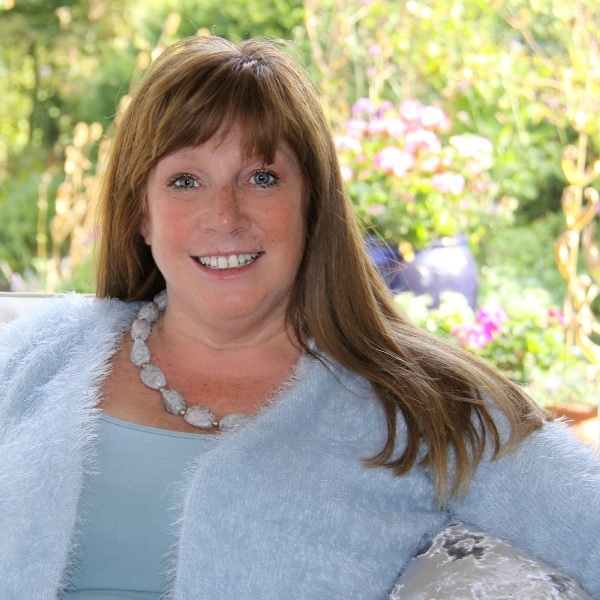 In the introduction to her book Designing Gardens she emphasises just how important Gresgarth has been to her over the years. In effect it’s a living business card for her London based design practice. 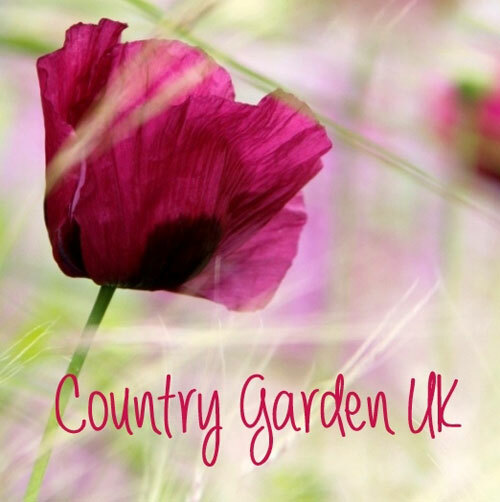 There is no doubt that this garden has problems… heavy soil, high rainfall, strong winds and what’s more it sits in a frost pocket. This is where new gardening techniques are tested, new plants are grown and planting schemes developed. 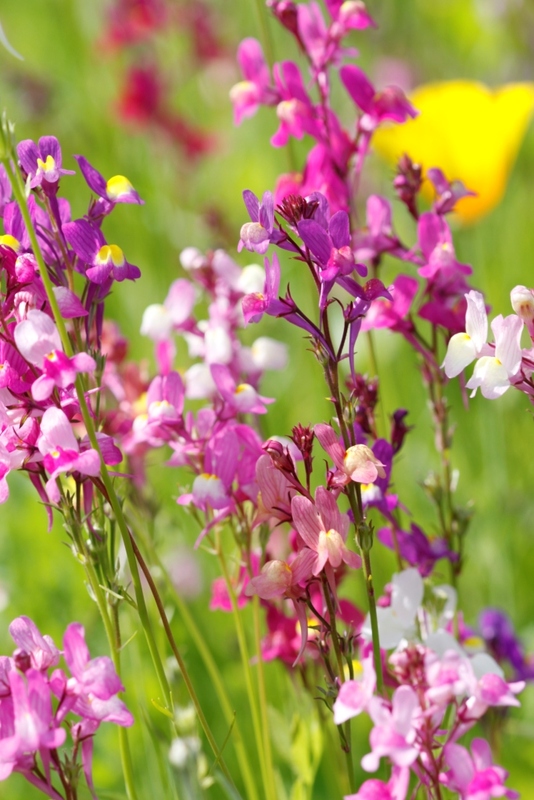 It’s where the owners can see first hand how plants behave and grow together over the years and what they will tolerate in terms of site, situation and climate. 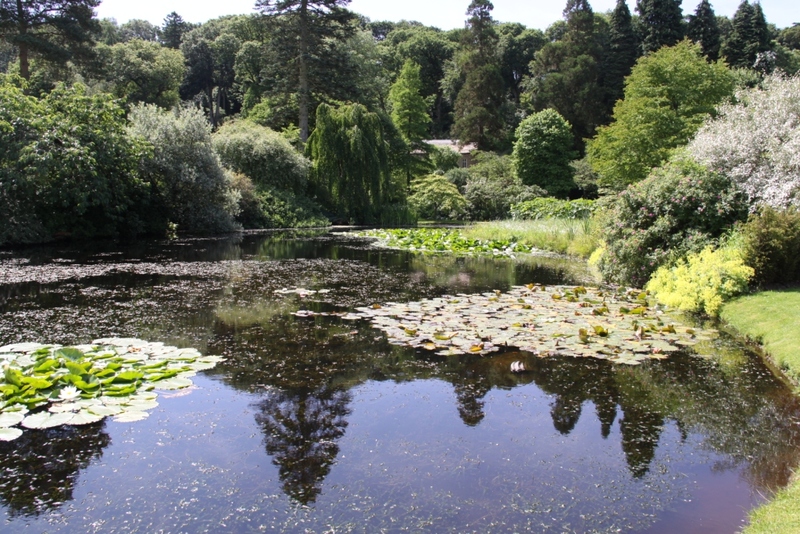 Gresgarth is a large garden with 12 acres cultivated and open to the public. It is divided into distinct areas which flow naturally one into the next. After the formality of the entrance the entire garden feels welcoming and relaxed. Now that’s good design! Near the house yew hedges provide shelter from the worst of the weather and a solid backdrop to the planting schemes. The herbaceous borders are stunning in summer and autumn in particular but I think they are well worth lingering over before the plants really get going too. Keen gardeners can see how professional gardeners provide support for tall plants and what’s more everything is clearly labelled. There are many good ideas to take away from Gresgarth. Gallery: Click on the first image of Gresgarth Garden to see more. I do hope that you have enjoyed this review of Gresgarth Garden. This is only a snippet of what you will see on your visit. 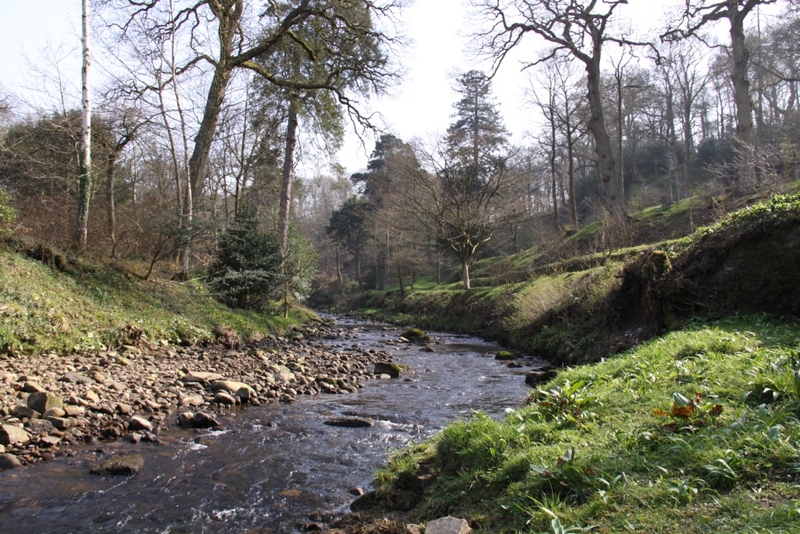 Please note that Gresgarth is open one Sunday each month in 2014. For directions and opening times please see the Gresgarth website. I visted Gresgarth in June this year and it is every bit as amazing as you describe. It’s a pleasure to see your photos taken in other seasons. It is a truly lovely garden Marian. Thanks for your visit and comment.